As most of you may be familiar with Darren Tate's highly euphoric and uplifting trance sound, you may be surprised that his style was not always within trance. Starting out with Andrew Chalk under the Monos guise in the late 80s producing a somewhat ambient and eclectic downtempo beats for a number of very small labels, pushing out very small amounts of limited picture copies with Darren's own artwork on it. Going forward, the band Ora was formed around 1990 and was the centre of numerous collaborations with a variety of artists to put forward drone sounds which combine the sounds of nature and electronic sounds. From then on, Darren has focused primarily on his trance sound with his numerous collaborations including that of Mike Koglin, Judge Jules, Rob Davis & Rohan Heath), and his recent collaboration with Jono Grant has just been pushed out on Mondo Records and has so far been a big success. Awaiting the launch of his first solo release in Japan as 4th Dimension (Avex records). With his reputation growing in the Far East, Darren has remixed Japanese mega stars ELT and Ayumi Hamasaki, whose last album sold 4 million copies! Mr. Tate has also been on remix duty for major labels such as Ministry and Polydor, all of which are using his mixes as the main seven inch releases. With a brace of records to be released over the coming months including the huge anthem ‘The Theme’ under the pseudonym ‘Jurgen Vries’ (Direction/Sony), Darren’s name will be everywhere and will further establish him as the Country’s leading dance producer. His latest production , ‘Destination’ which features vocals by Kim Wilde’s sister, Roxanne, has been subject to a massive industry bidding war and has just been signed to Pete Tongs FFRR imprint. 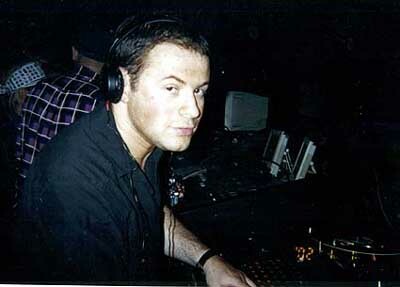 On the DJing front Darren has played Godskitchen, Birmingham NEC, The Cross, Velfarre (Tokyo), Eden (Ibiza). Darren’s musical style ranges from pumping hard house to hands in the air-uplifting trance, just like the records he makes. Darren has been broadening his musical horizons of late, utilising his classically trained background, and has been working on chill-out tracks, pop cuts and even a musical!